How travelers pick a belt pouch? 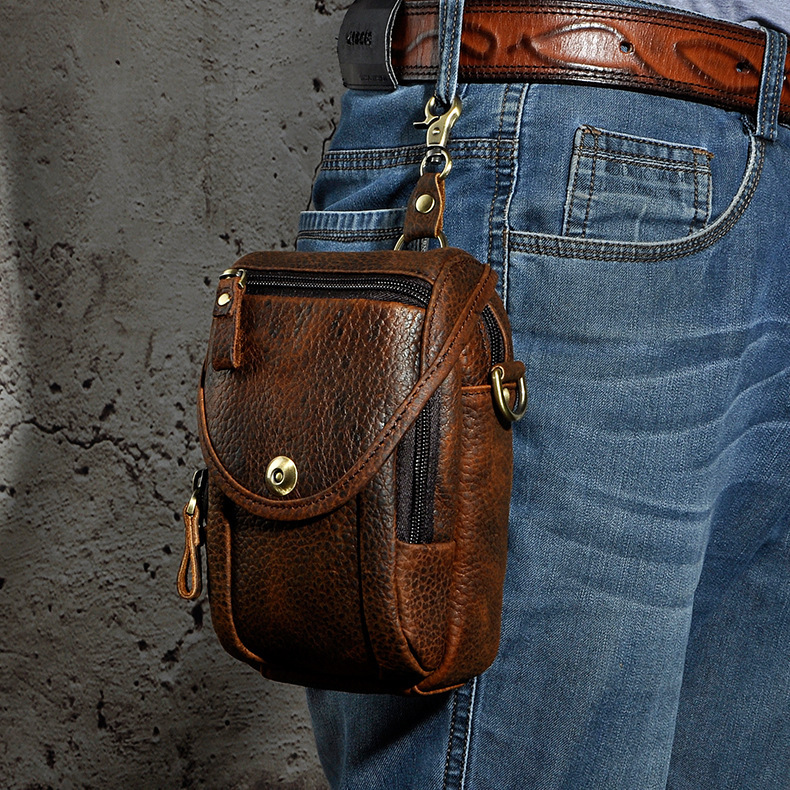 A belt pouch is usually mixed with the men’s fanny pack which is actually a different thing. Size is not the only thing which makes belt pouch different from the fanny pack but the functionality, design, material and its usage. The belt pouch more work like a money pouch, that's why it has been called as money belt, money pouch and sometimes even a traveler pouch. Like fanny pack, the belt pouch is not mean to put things like water boatel as it is small in the size but it is more for the money, mobile, card and other essential. I won't be wrong if I say that the belt pouch works more like a wallet for the men. One of the most common items on every international traveler is a passport wallet. And, you can tell a person by the kind of passport wallet he carries, considering your passport is even more valuable in a foreign country than your money is. If you want your passport to be as safe as possible then there is only one choice- leather passport wallets. 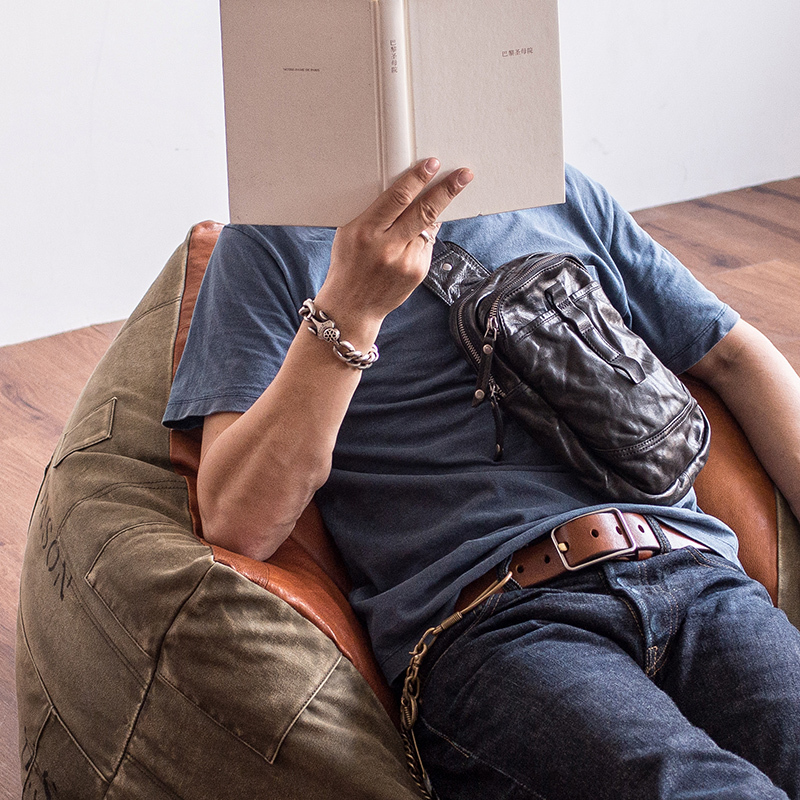 Why are sling bags for men becoming popular? Handbags are for ladies and sling bags are for men. Yes, you read it right. The ladies do not go out without a handbag which they use to carry essential items for every day. Just like that, the men can use the sling bags to carry their essentials items. These items could be anything from headphones to books, mobile phone, cards, a bottle of water and even the snacks etc. This makes men self-dependent especially when they are traveling or outing with the family. They do not need to ask their women to carry their stuff in their handbags when the men have their own sling bag along with them. How to pick men fanny pack? A fanny pack could be something new for the new generation because it was not very popular in early 2010 years as it uses to be in the 80s and 90s. But don’t worry as the fanny pack is now coming back with more popularity as there are more designs and sizes available where today's men fanny packs come up with more functionality which allow you to put as many as important items which you want at one place. I am not sure about you, but when I travel, I end up spending more money, that's why a leather wallet is not enough for me to put my all cash. To carry more money with safety, I purchased a belt pouch which is also known as money belt and looks similar to the fanny pack but smaller in size but with more functionality. A belt pouch is a small pouch which is attached to a belt. This has been used to holding the money and other related things which can be used when you are traveling. This belt has been buckle around the waist but it can be buckled around on any other part of the body too but the waist is most common. 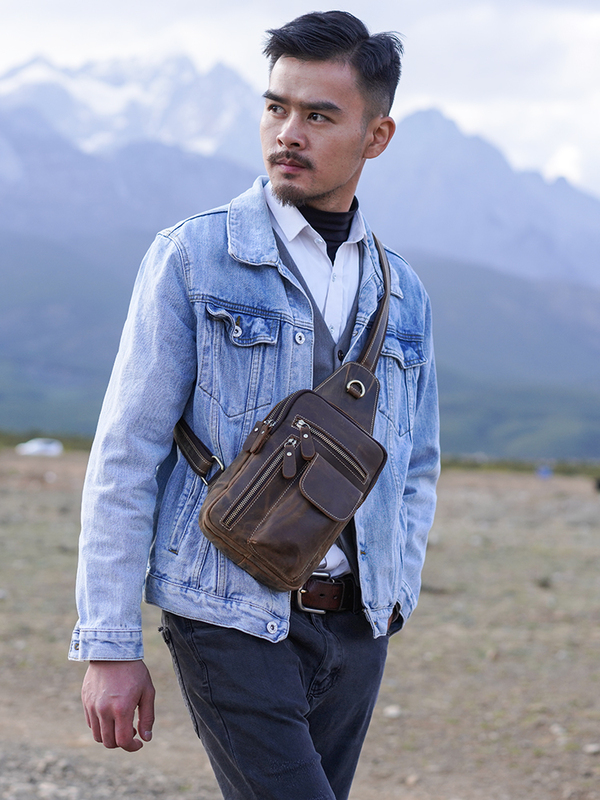 Sling bags for men are in fashion and they should be as they are easy to carry and men can use it as an alternative to the handbag. If you are planning to buy one, then you must know some of the following things as this will end up to help you to pick the right sling bag for you which can be used in different situations easily. A fanny pack is a bag which has been designed to worn around the waist. It works as a storage device on different occasions which could be when you are traveling, camping, enjoying water sports, doing work which involves using some tools and even on the beach etc. The men fanny packs are usually made from the waterproof material due to its nature of use. The most common material which is used to make fanny packs is PVC, nylon, and neoprene. These are the effective material which keeps the important items save from the water. ﻿ If there is one thing you can guarantee in the ever-changing world of fashion is that leather will surely never be out of favor. Leather has been popular among the fashion conscious for ages and is sure to command that position forevermore. And given the explosion in consumer markets with the Internet, choices available in leather products for men are simply phenomenal at the moment. Leather wallets for men have been a fashion accessory as well as a utilitarian item for time immemorial. Not only are Wallets for Men are stylish and impressive looking, wallets are also sturdy and long lasting. These days, thanks to the explosion of the marketplace, thanks to the internet, there is such a wide variety of choice available in leather wallets for men that you are likely to lift gasping for breath! Do you like a cool backpack for men? The backpack are mostly related to the school but there are a variety of designs that make them perfect for many other occasions. You can carry a backpack and still look elegant.